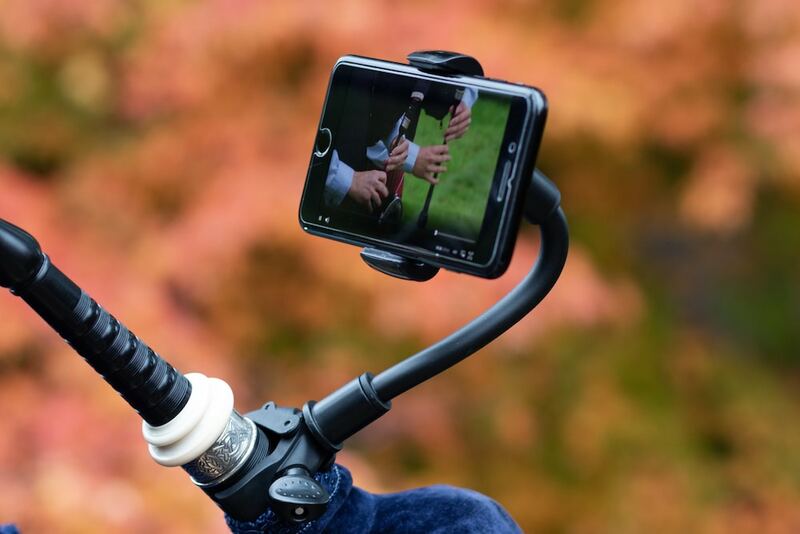 The Piper’s Advantage™ Bagpipe Phone Mount is the world’s first bagpipe phone mount for smartphones, tuners and metronomes. Unleash the power of your favorite apps and devices to take your piping to the next level. Play your pipes your way — with all of your favorite apps right at your fingertips. Tuners: Achieve world-class precision of tuning with powerful tuning apps for both chanter and drones. Works with standalone bagpipe tuners, too. Metronomes: Keep perfect time with metronomes that you can see and hear, even while marching. Sheet music: Use your phone as a 100% mobile and portable music for sheet music. Perfect for learning and memorizing tunes on the pipes. Use your phone’s camera to take photo of your printed sheet music and go! Video and audio: Play along with audio and video recordings, including instructional videos and those of your favorite pipers and pipe bands on YouTube. Record, listen, and play: Enjoy exciting, dynamic, and productive practice sessions with multi-featured music practicing apps like AnyTune or Garageband. Simple and fast to attach or remove from your pipes. Just turn one screw and for a snug and secure fit. 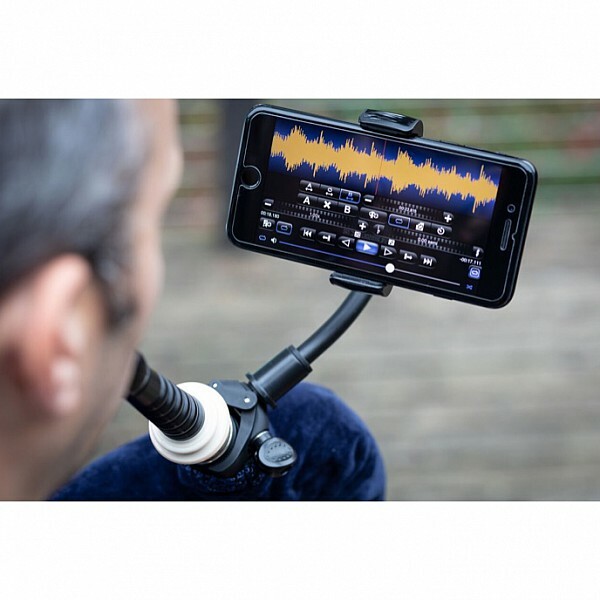 Your phone is anchored by a solidly-built fully-adjustable cradle. We use the highest quality materials so your smartphone or other device will stay in place even when you are on the move or under tough conditions. 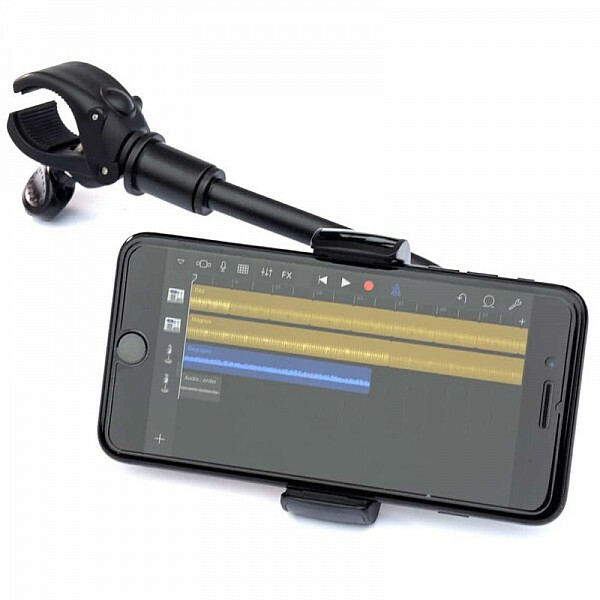 Compatible: Works perfectly will all of your devices — inlucding most smartphones, tuners, and metronomes. Smart: Professional-quality materials and sleek design make it easy to attach or remove in just a few seconds. 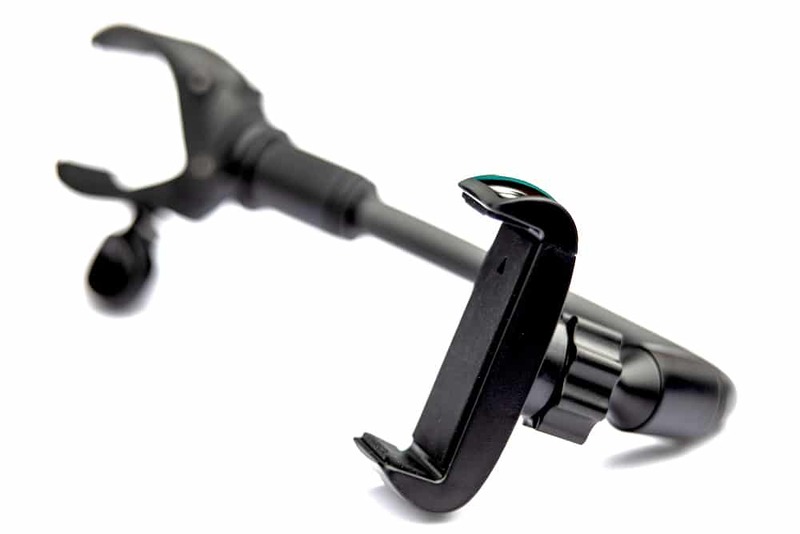 Secure: Sturdy clamp safely and securely attaches to your pipes even when marching or moving around. 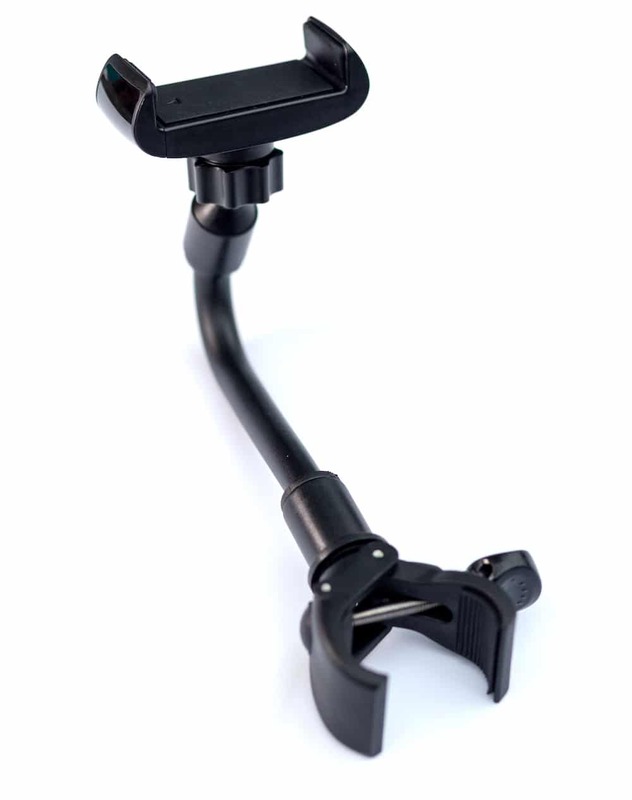 Flexible: Fully-adjustable flexible arm and ball joint allows for 360 degree rotation and lets you find your perfect viewing position.